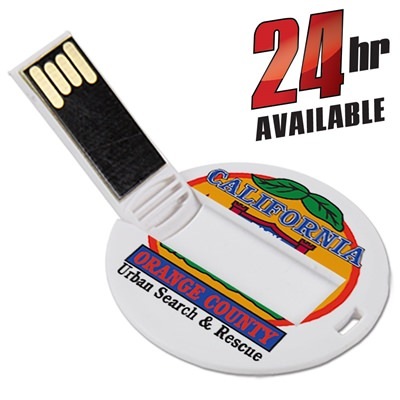 Hand these slim medallion USB drives out at your next event and watch peoples’ eyes dwell on the thought of a USB drive fitting in a wallet. Your logo or photo can be printed on one or both sides of the drive. 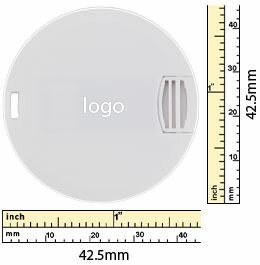 This custom promotional USB drive is shaped like a slim medallion and has a thin hole along one edge for attaching a key ring. The USB connector swivels out from the center of the device. The drive body is made from white plastic and features a large area for printing a truly vibrant company logo. All custom printing for our promotional products are printed in the United States. 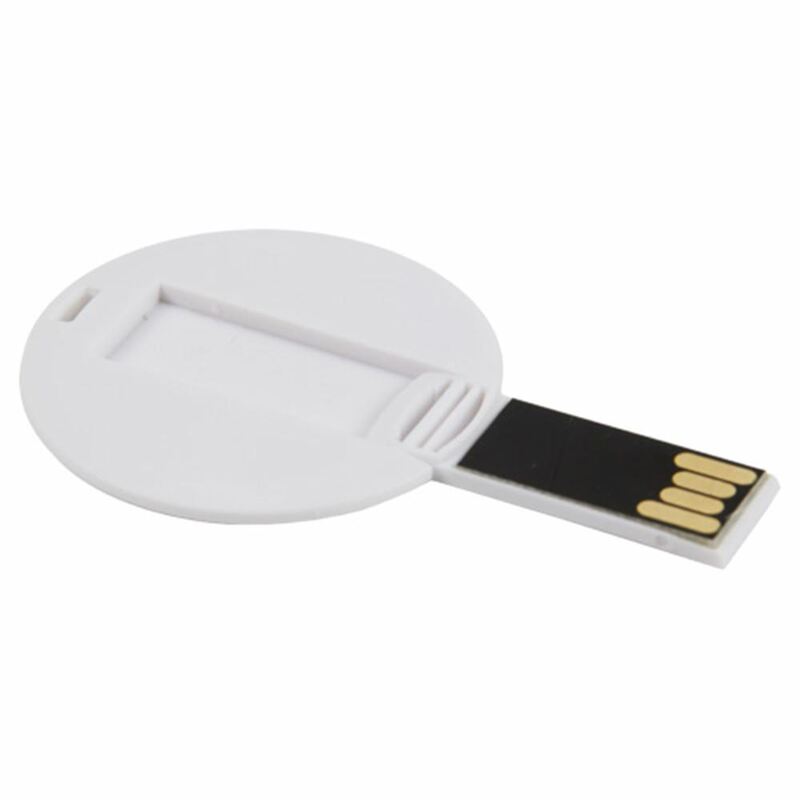 For the ultimate power marketing move, combine large print space, convenient size and shape, data storage, and value to get the Slim Medallion promotional USB drive! 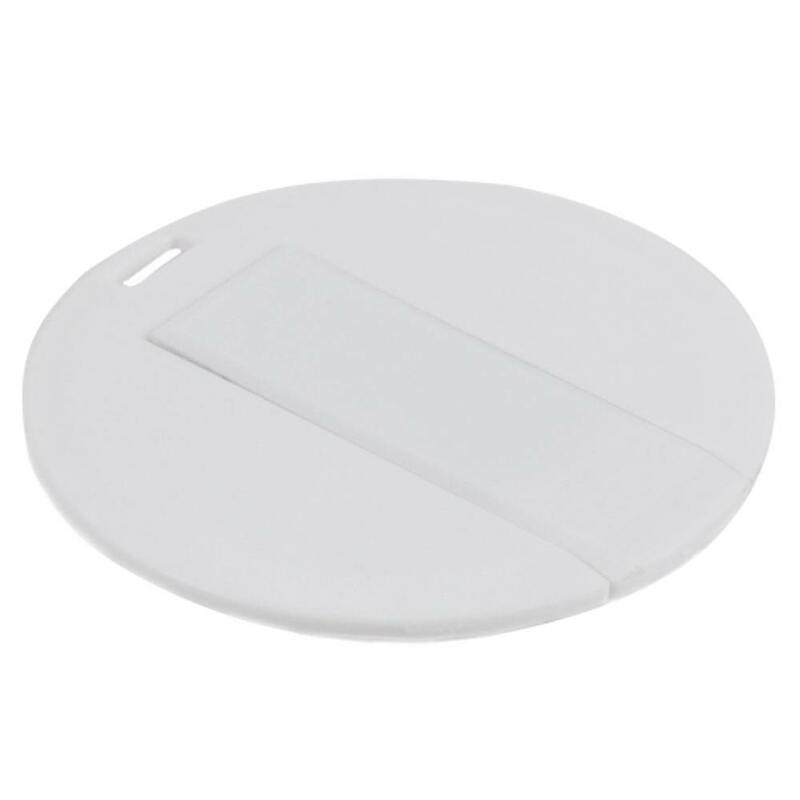 The Slim Medallion offers an aesthetically pleasing shape that easily fits into a pocket or wallet while providing customers with discrete and convenient storage for their files. 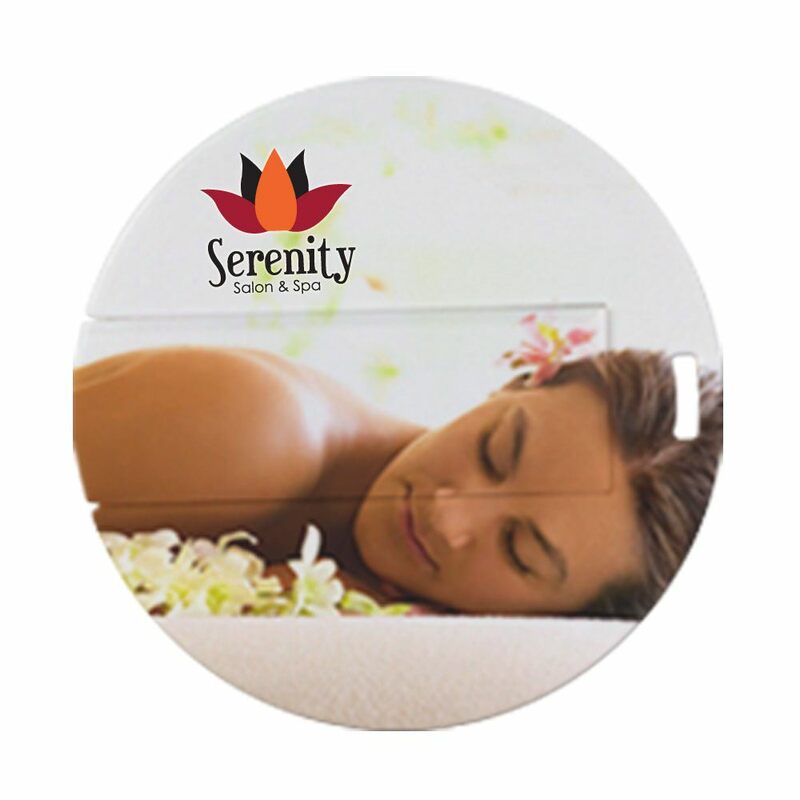 The connector is hidden with a hinge mechanism that does not impede your custom logo or artwork on top. Logos look vibrant and bold on the circular body. The drive comes in a range of capacities from 512MB to 32GB, allowing you to give the right amount of available storage suitable for your clients and customers. Unique, fun, and practical, the Slim Medallion is a worthy marketing investment!